How does a member add a subscription for a new season? When a member uses your join link in order to sign up for a new season, they can access their existing account at the Contact Info step of the signup process by selecting the "Already have an account? Login" button. If they cannot remember their password, they can click "Forgot Password" from the login screen. Members can add a subscription for a new season by logging into their accounts and clicking on the Season drop-down. Once a member changes the season view to your upcoming season, they can click "Click to Join" in the green summary box in order to be taken through the sign-up process for existing members. 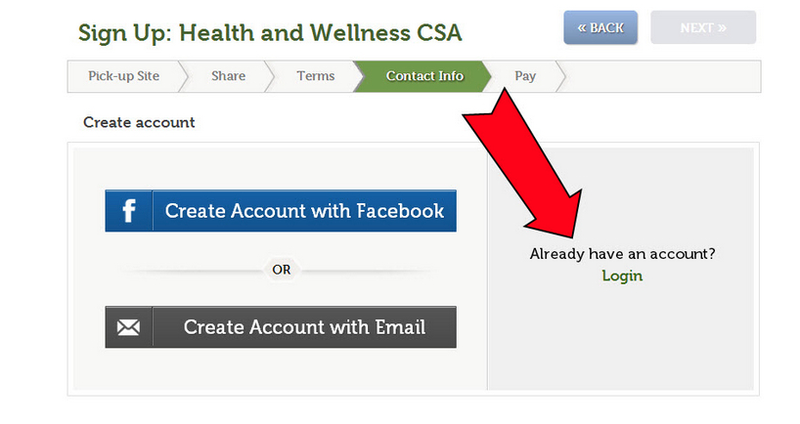 You can manually add a new season subscription to a member's account using the Add Subscription button. These steps are recommended if the member already has an account in your Farmigo system and they cannot sign up using the join link. (1) Open the member's account in your dashboard. 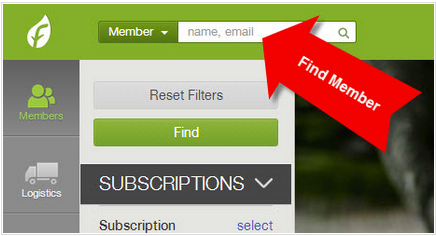 A helpful tool to find a member account is the search bar at the top of your dashboard. (2) Click the More button in the upper right corner of the member's account. Under Add Subscription, select the season that you would like to add. A. Assign the member to a Location by clicking Edit next to the Location field. B. Add a share by clicking +Share from the Subscriptions section.